Contact us on 01642 342086, or in cases of an emergency extension 3200. 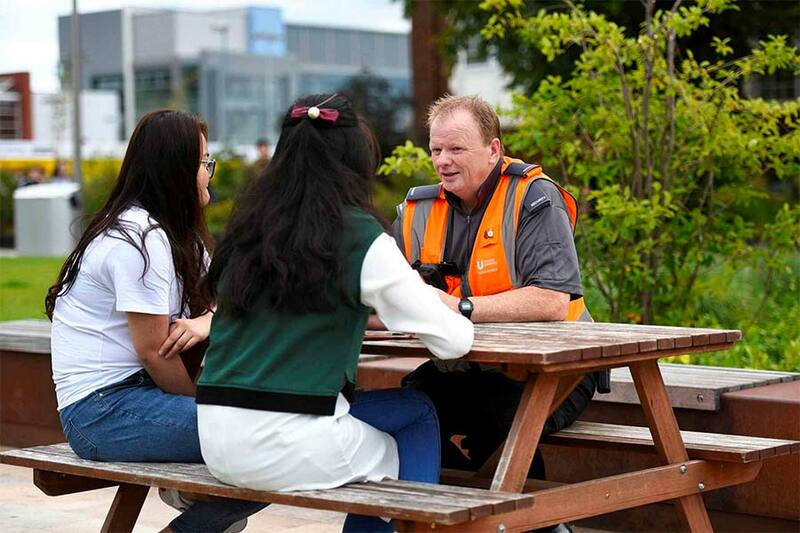 Campus Security are responsible for ensuring a safe environment for staff, students and visitors. We are based in the University Library and are on hand 24 hours a day, 7 days a week, 365 days a year. We work hard to provide the best possible service to everyone within our campus community – we are also the out of hours contact for University issues. 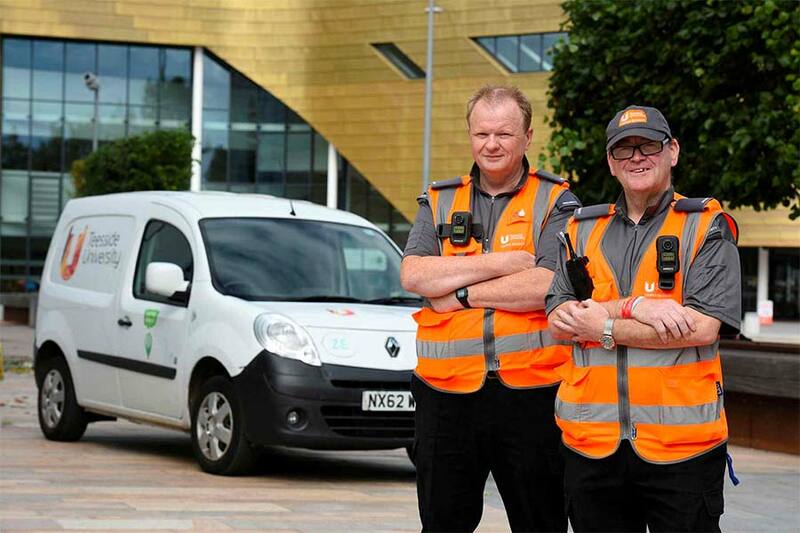 Our team are responsible for managing and responding to all incidents and SafeZone activations across the University. 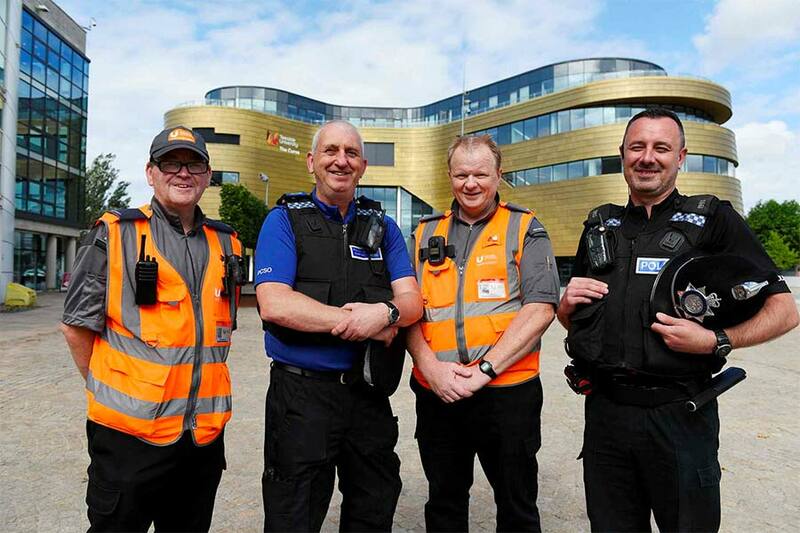 We work alongside Cleveland Police Community Support Officers to provide safety and security advice to staff and students and to conduct regular high-visibility patrols on campus. All of our Security Officers are first aid trained. Follow our useful hints and tips to stay safe. 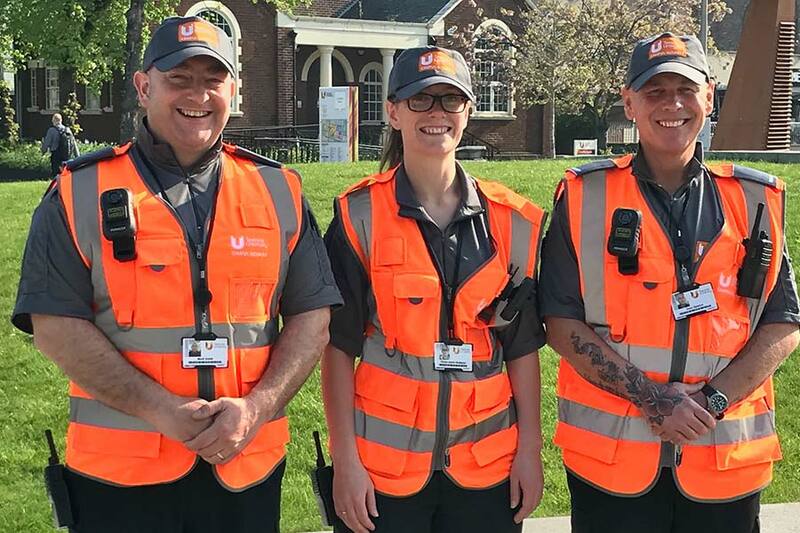 We've joined up with Critical ARC to bring you SafeZone - a free app for staff and students that connects you to the University campus security team if you ever need first-aid or urgent help when you're on campus. Safe Spaces – a service for students where you can seek help and refuge if you feel threatened or vulnerable. Items of personal lost property or valuables such as bank cards, mobile phones and wallets found within the campus are forwarded to the security office. If we can we will make enquiries to locate the owner and return the items. Items are recorded and held for a maximum of 28 days. Contact the campus security control room if you have any lost or found items. 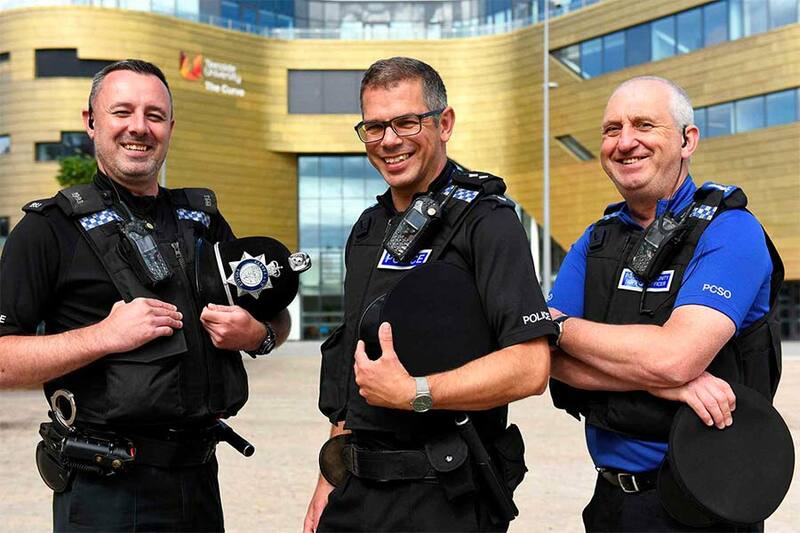 Teesside University Campus is generally a very safe place. However if you need to report an incident please contact the campus security control room who will assist you. you think the offender may return.